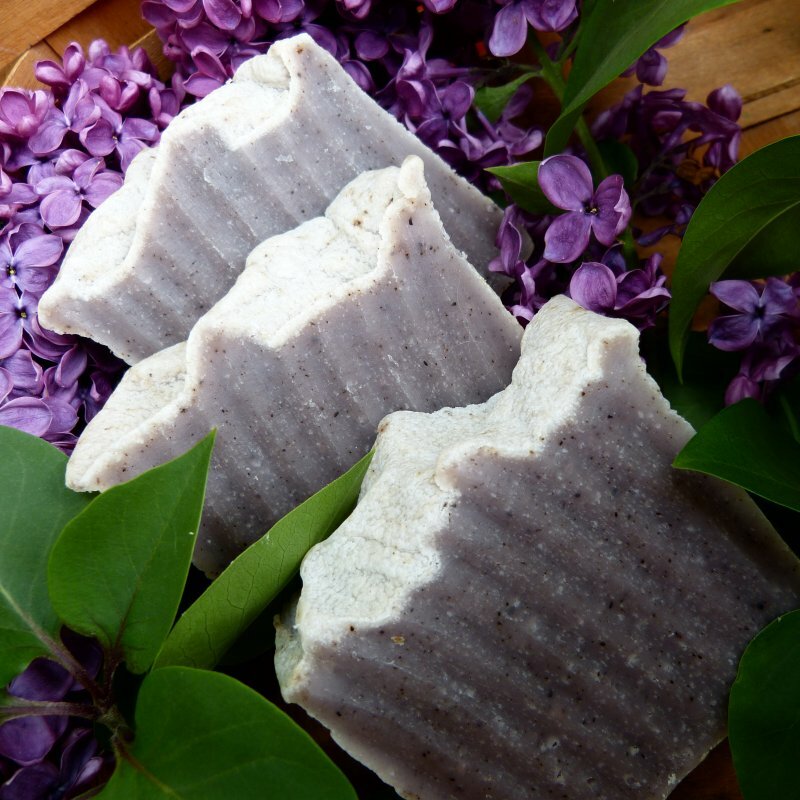 French Lilac & Lavender Homemade Vegan Soap is everything you would want it to be: beautiful, moisturizing, fragrant, large, and long-lasting! The name comes from the lilacs that grew in my great aunt's garden when I was a child. French Lilac & Lavender is made with all natural base oils, a natural colorant to give it a rich purple lilac color, a quality fragrance oil, and essential oils. This handcrafted soap has a gentle and abundant lather. Not drying and harsh like chemical-laden soaps. French Lilac & Lavender is made with only the best ingredients to bring you a lovely soap for shower or bath. You will love its fragrant presence that comes alive when the water hits it! Another Vegan soap. No animal products are used in our homemade soaps, ever! Note the photos above. Not only is this a luxury bar of soap, but that interesting texture to the top and the French Lilac color make this a beautiful bar of soap as well! Be sure to keep one in the guest bath - but only if you want those guests to return! Allow your French Lilac & Lavender Homemade Vegan Soap to drain and dry on a slotted soap dish between uses and it will last a very long time. Each hand cut soap comes with its own distinctive label and is wrapped in a cello bag, ready to give as a gift. Please check our sidebar to view photos of labeling and packaging.